BULLHEAD CITY – The Anderson Auto Group Fieldhouse will officially open to the public on May 3, with ceremonies showing off the facility’s different capabilities. Tours begin at 5:00 p.m. and run through 8:00 p.m. A ribbon cutting ceremony with local dignitaries will be at 6:00 p.m.
Catalfamo briefed both the Colorado River Union High School District governing board and the Bullhead City Council this week about the opening. 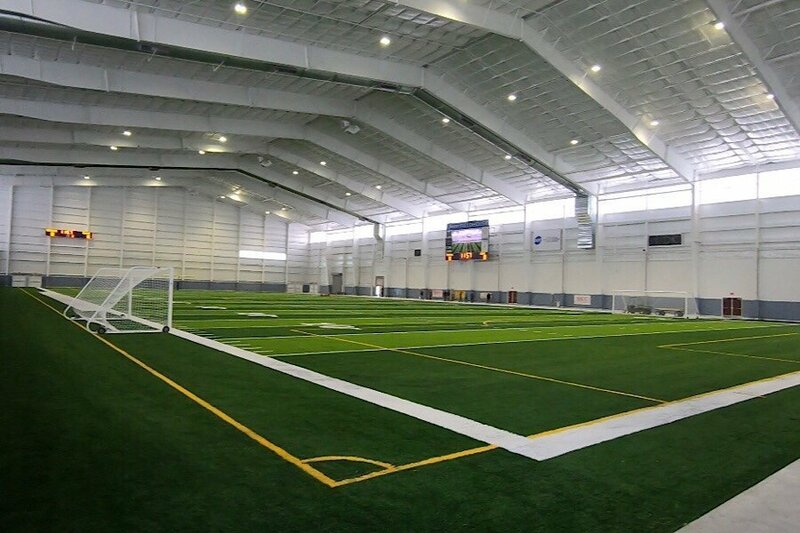 The 126,000 square foot structure includes a 76,000 square foot Astroturf®-covered floor that includes regulation football and soccer fields for use by the River Valley High School Dust Devils and Mohave High School T-Birds as well as tournaments. An interlocking removable cover over the field can also be used for school, athletic, community and commercial events. Basketball courts fit over the turf cover. For the grand opening, the field will be set up for a variety of sports activities, both with and without the turf covers. Adjacent to the main concourse, classrooms that can double as meeting rooms will be set up showing how they can be used for students, quinceañeras, receptions and conferences. In addition to the Fieldhouse’s concession stands, food trucks will be selling refreshments. An invitation-only soft opening will be held several days earlier for business and corporate sponsors as well as local officials. The Fieldhouse is located at 3663 Bullhead Parkway, just west of Highway 95 and northwest of the Mohave Crossroads Shopping Center.